The UK government has said they expect the High Speed 2 rail line, connecting London with Birmingham, Leeds and Manchester, will create up to 25,000 new construction jobs. The progress made on the highly controversial scheme means that construction work is set to commence in 2017, with procurement already having begun. Contracts are anticipated to be signed imminently, as soon as the HS2 bill has been passed through Parliament. It is estimated that 25,000 technical and engineering jobs will be created during the construction period and a further 3,000 jobs will be created across the UK once the line is in operation. The types of skills required on the scheme includes engineers, surveyors, construction workers, planners and drainage experts, and extends to those with experience in flood defences, nuclear power stations and even Crossrail. 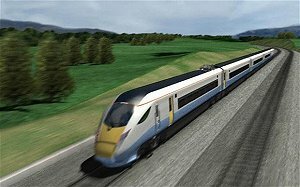 Transport Secretary, Robert Goodwill, said: “Before the election, we put HS2 in our manifesto as part of our plan to rebalance the economy. To transform Britain’s infrastructure by creating new connectivity in the north. To release much-needed capacity in the south. To secure thousands of skilled apprenticeships and civil engineering jobs across the country. Once fully operational, it is expected that HS2 will be used by up to a quarter of a million passengers every day, proving far quicker travel between Birmingham, Heathrow, Stratford and London’s West End.